Just a few more weeks and swimsuit season is coming to an end. This signals the beginning of another exciting school year for our kids. 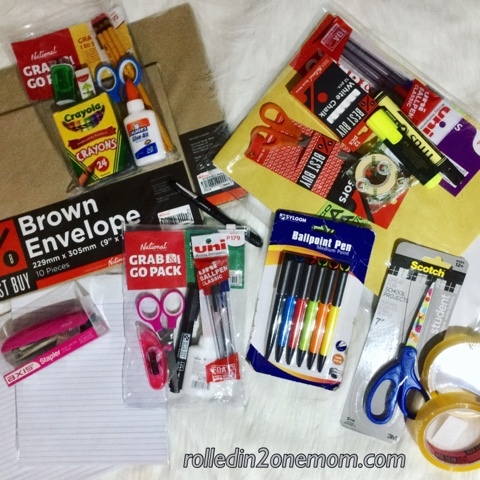 During this time, there is the need for us parents to find the best deals when it comes to good quality yet affordable school supplies for our kids. I remember back in the day when I used to get all giddy with excitement because the end of summer means the start of school supplies shopping with my parents. I distinctly remember the light drizzle outside of National Bookstore while I scout cute, stylish yet affordable school stuff for me. Yes, National Bookstore now offers Grab & Go Packs which contains items that you will need in one pack. Saving both time and energy, these packs mean that you won't have to go aisle to aisle just to get the supplies individually. The store layout has been updated too, now, all items are easy to spot with bright and readable labels to make shopping even more convenient. 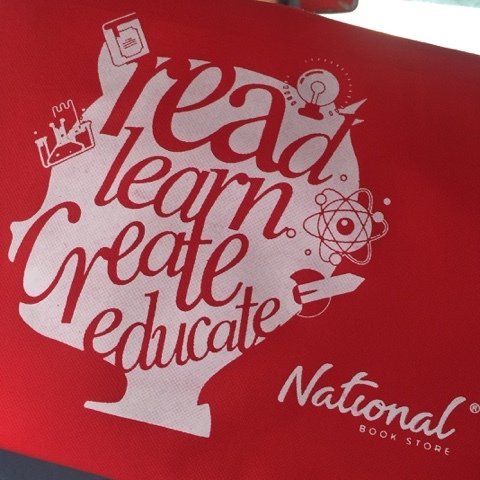 National Bookstore is now keeping up with the digital age as they also offer online shopping where all you have to do is browse online by grade level, choose what you need, check out and have the items delivered right at your doorstep. You can also call their hotline, provide the list of supplies you need and have them shipped to you. 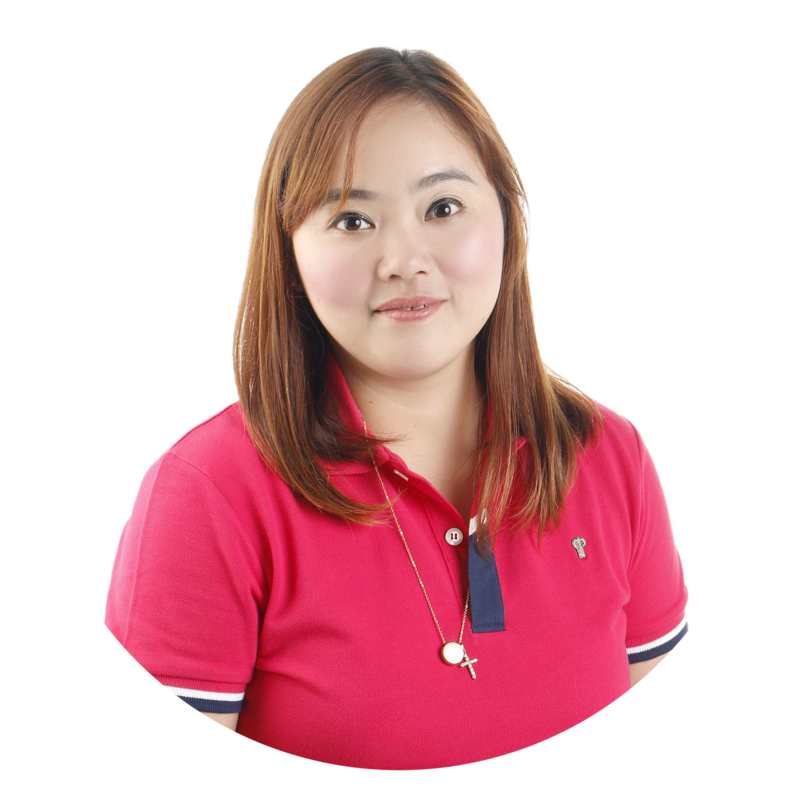 Customer service specialists are ready to assist you too. If your purchase is worth P1,000 or above - you will get free shipping! Priceless convenience at your fingertips. If there's one thing us moms are known for, it's trying our best to stick to the budget we have set aside when it comes to shopping. So, National Bookstore have the best deals for us Moms! The Low Price Deals range from P20, P50, or P100 each. You will now be able to get 12 notebooks for the price of 10! Budget Bundles and looking for items labeled Best Buy is the way to go too. The upside is that when your purchase is worth P500, you can get a colorful backpack for only P100. A P1000 pesos worth of purchase will allow you to get a free tote bag to carry all your best finds in! 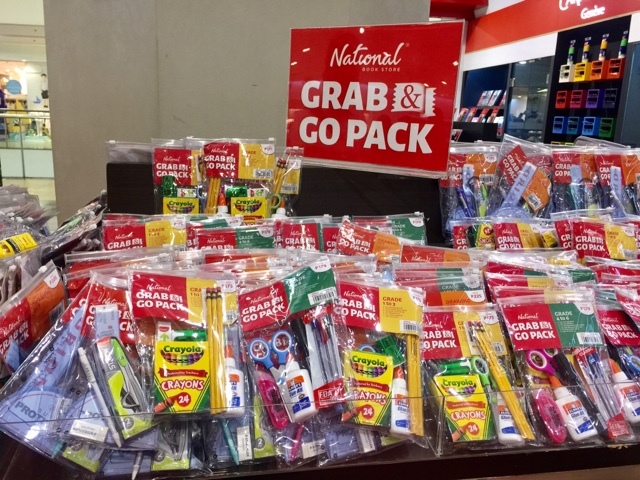 Aside from the usual school supplies that our childhood fave National Bookstore offer, they also offer lunch boxes, mosquito patches, personal care products, as well as emergency, survival, and first aid kits. 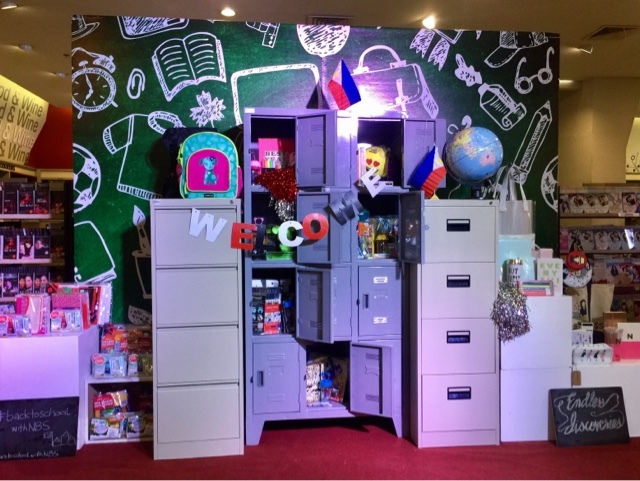 These items will not only ensure additional fun to their learning experience but preparedness too. 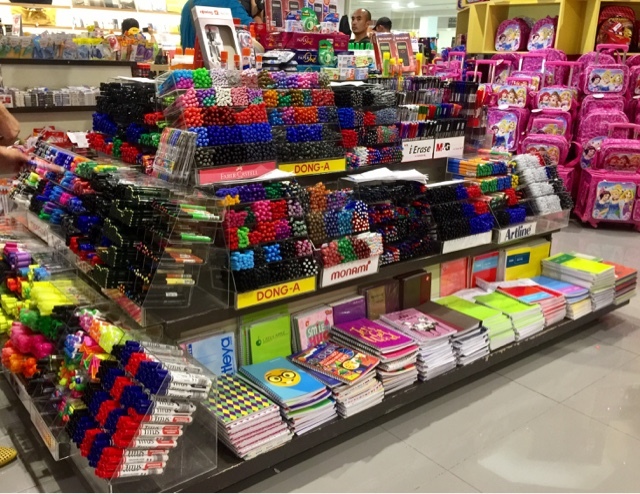 Moreso, National Bookstore carries world-renowned brands whose products add style and inspiration to our kids learning experience. For budding artists, the Swiss fine art brand Caran d' Ache School Line which includes colored pens and pencils deliver highly-pigmented colors unlike any other. Totally a must-have! For grade-levels that do sketching and drafting, Blackwing Pencils are the best of the basics and a long-time favorite. If your kid wants to stand out in class, Online, a brand from Germany is a great choice. For the fashionistas, Kate Spade's fashionable stationery will reflect their unique style. 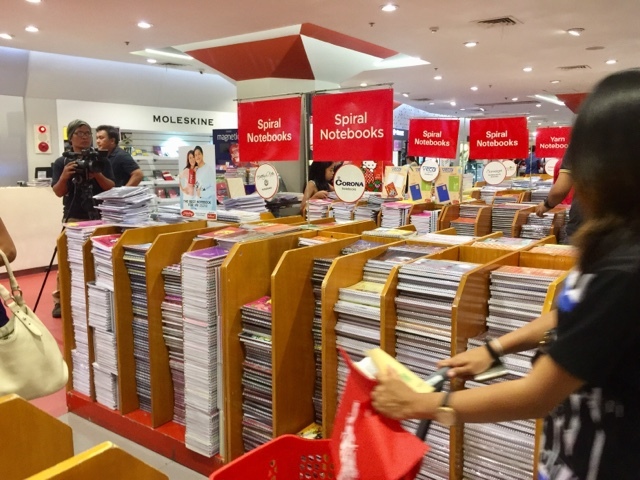 Okay, if you're like me who has always considered National Bookstore a wonderland, then you must make National Bookstore your back-to-school shopping destination. I've always found everything I need in here and I am sure that we will still have a long and fruitful relationship to come. Yes, back-to-school shopping is like Christmas for me too! For more updates, follow them on social media - @nbsalert on Facebook, Instagram, Twitter, and YouTube - and visit their website too National Bookstore .